Peco have created a tradition of exopanding minimum space layouts with each Planbook revision. 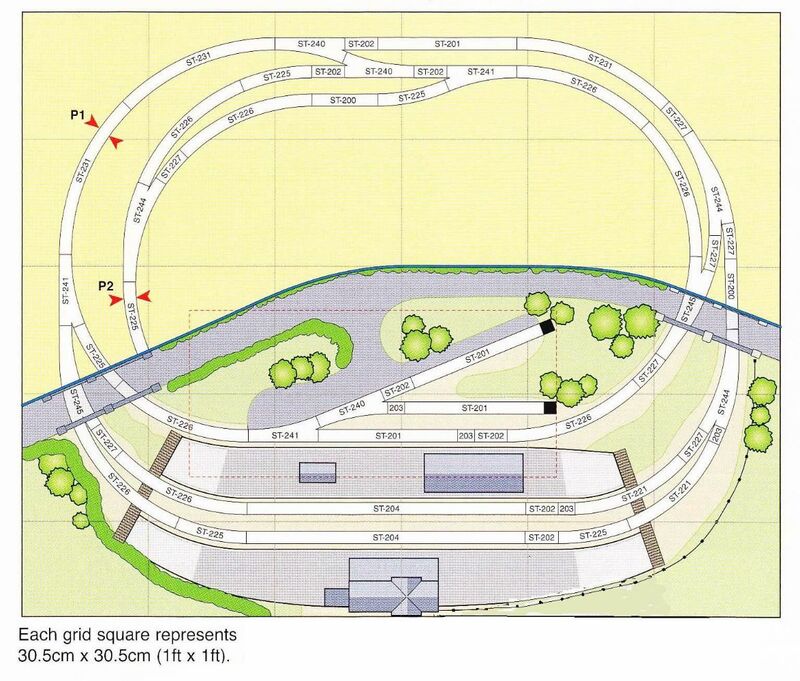 Here is plan 32 from the previous edition incorporated into an oval design comprising of a through junction station with a branch platform. All tracks lead off to a non-scenic section accomodating branch storage loops. The main line is capeable of handling a short steam train and two coaches, the branchg a similar loco and single coach. 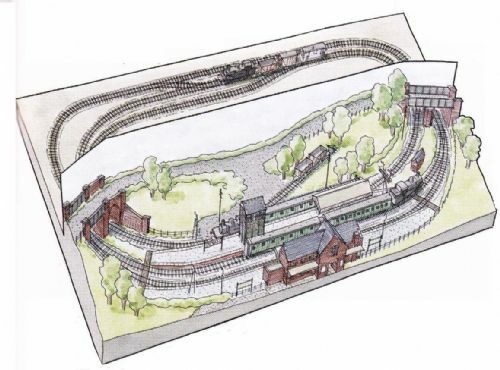 We suggest that the layout is operated as it would have been in the BR steam era, using a Hornby Terrier with a Hornby M7 class. A selection of ex - SR rolling stock consisting of Hornby brake and a |Maunsell coach together with the 20T brake van for goods trains will help to capture the right atmosphere. Operation can be as simple as watching the trains go round or made more interesting with the introduction of a basic timetable. Branch linr trains should be timed to connect with main line services. 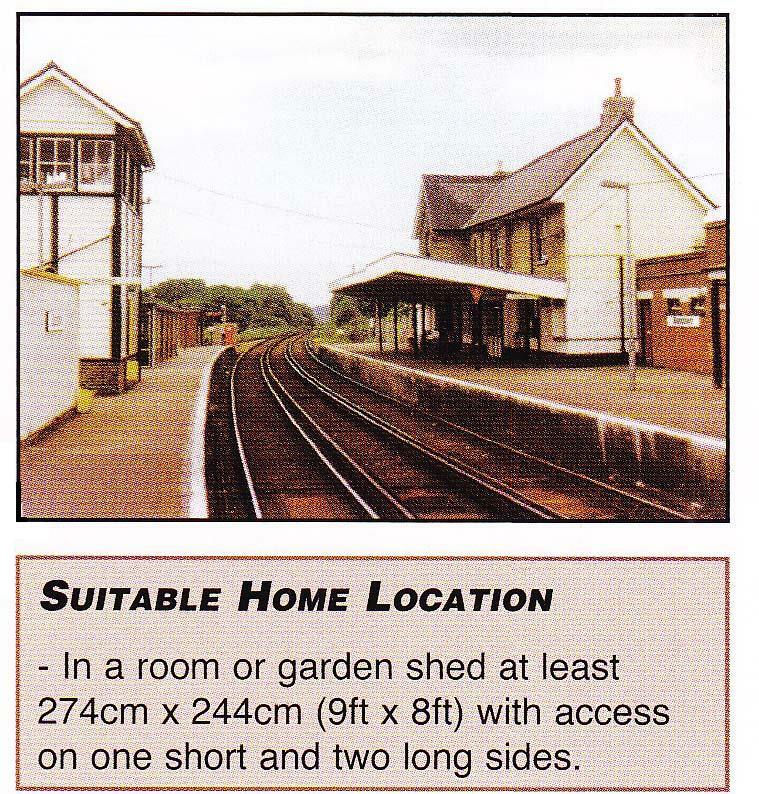 Additionak; interest is provided by the two short sidings allowing some shunting, using the station loop for running round.